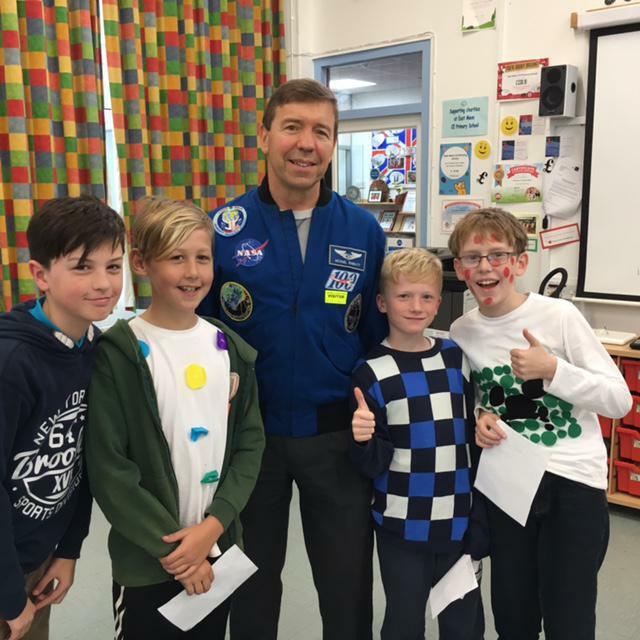 Have you ever had an astronaut come to your school? 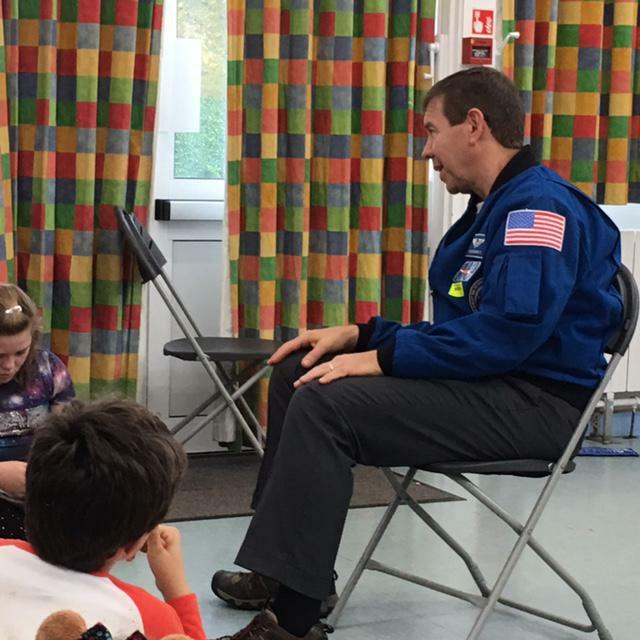 The children at East Meon CE Primary School were visited by Michael Barrett, an American Astronaut. It was an amazing experience! 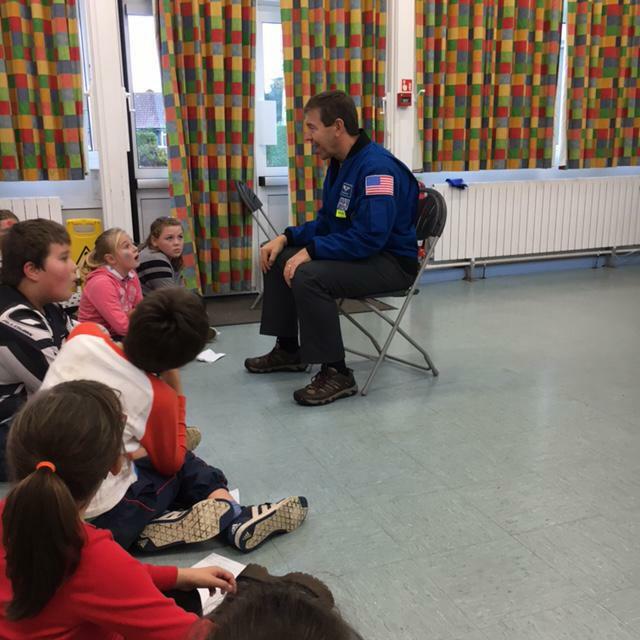 We asked him questions such as "What happens when you burp in space?" and "What was it like in the vomit comet?" Now that question had a pretty awesome answer! 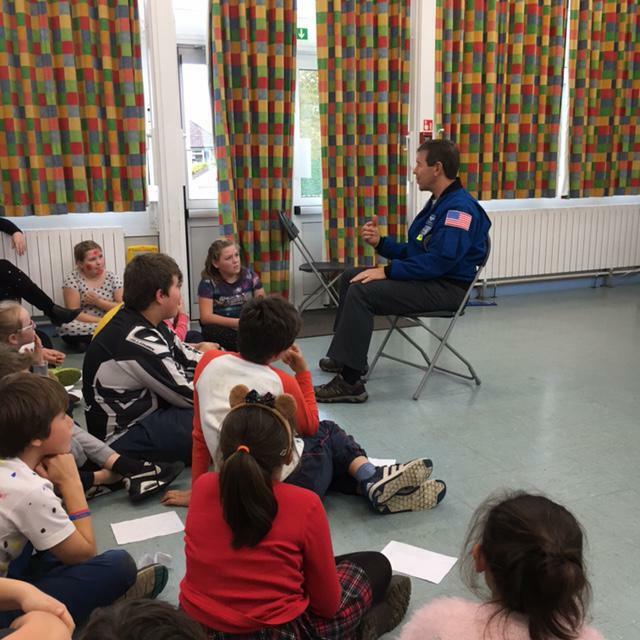 Michael Barrett talked about how much he enjoyed working in space - he might've inspired some future astronauts! "Your first reaction when you look down to Earth is to grab onto something until you realise you are not going to fall!" said the famous astronaut. Michael Barret showed us a video of his last trip to space. It was amazing! He said that in their spare time, he and his friends would use zero gravity to their advantage by spinning each other round just for fun! He showed us the food he ate in space which included pouches of dried up food which need water to be added. But there was a twist - the water is purified wee and he said it was safer to drink than tap water on earth! While this amazing astronaut was in space, he and his crew went out on space walks. Michael was often in charge of the robotic arm that they were attached to. He told us about the time it stopped working which was quite worrying! We also found out that Michael Barret is good friends with Tim Peak! When the talk was over and we had finished asking him questions many of the children grabbed pens and paper to ask for his autograph. By this time, we were all crowding round him and we were all given an Expedition 19 sticker. 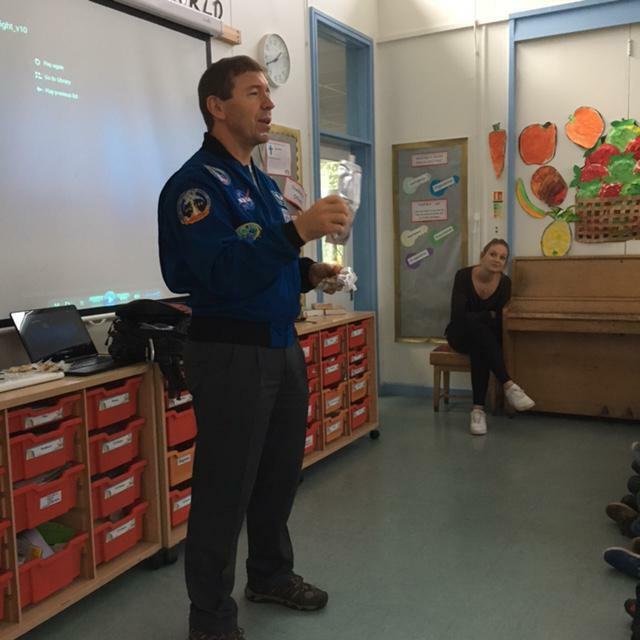 The children are very grateful for his visit and have learned a lot and been inspired to go above and beyond the atmosphere of Earth!